Quantum dot technology has been specifically designed to improve the quality of laptop screen colours, making them seem more realistic. In particular, quantum-dot technology focuses on making three colours in particular, (green, blue and red,) more vibrant, whilst drawing from a greater palette of presentation colours than that offered by conventional LCD screens. Further, unlike normal laptop screens, a display equipped with a quantum-dot film uses light to make images appear more vivid, an approach which improves the quality of the picture without draining the laptop’s battery. What’s more, unlike the pixels found on regular laptop screens, quantum-dots are infinitely smaller. In fact, experts state that each dot is 10,000 times thinner than a single hair! These minute dots are then placed in a 3M film. 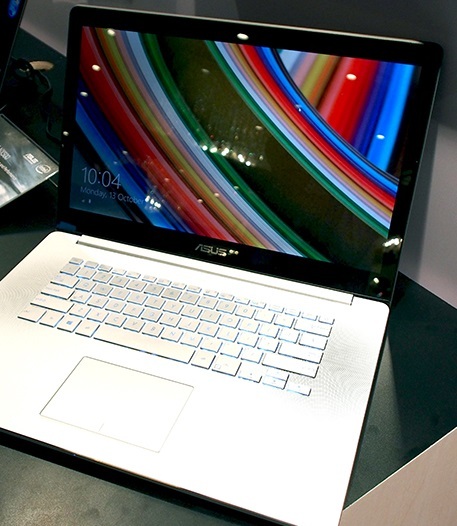 What are the benefits of the Asus Zenbook NX500? Asus’ new Zenbook would be particularly suited to people who rely on an accurate presentation of digital colours, (for example, film editors and professional photographers.) The machine would also be well suited to individuals with a passion for gaming or films. Further, the Zenbook NX500 would also make it easier to inspect items for purchase online: the improved quality of its screen would faithfully represent the colour of online products. Experts that have tested the Asus Zenbook NX500 rave about its ability to present accurate, (and vivid,) colours, suggesting that images, videos and games practically leap off the screen. To learn more about the Zenbook NX500, click here.